Nelda Jean White passed away peacefully on Tuesday, December 1 at home in Spring, Texas. She was born May 31, 1945 in Cleveland, Texas to Eugene and Nila Pollard. A fifth-generation Texan, Nelda graduated from Westbury High School in 1963 and the University of Houston in 1967 with a degree in education. She married Joe Thomas White on November 27, 1964. Family was Nelda’s first priority. 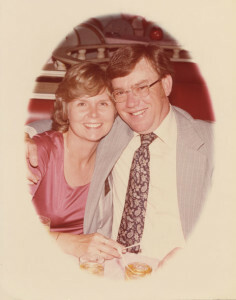 She was devoted to her maternal grandparents, Jim and Drucie Simmons; she was her mother’s best friend and she was her daddy’s pit boss when he built race cars and raced at Playland Park. 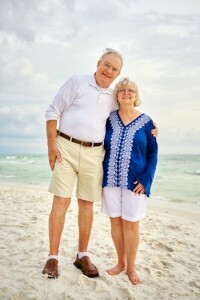 Her 51-year marriage to Joe was filled with waterskiing, camping, two-stepping and kid activities. She drew detailed, multi-generational family trees by hand for both her side and Joe’s side of the family and kept family reunions going for decades. During her son Troy’s Little League years, Nelda kept score of every game and painstakingly crafted stats books for each player-in an era before personal computers. During daughter Lorri’s drill team years, Nelda designed and sewed countless costumes, and helped many Starlettes with quick changes for competitions. She was such a fixture that the girls all sang, “Help Me Nelda” to the tune of “Help me Rhonda”. The arrival of her grandchildren brought “Nellie” great joy. She was creative and precise, always holding herself to a standard of excellence exemplified in her motto, “When you deal with professionals, you get professional results.” These traits shone through in her efforts as a cake decorator, seamstress extraordinaire, homecoming float maker and in countless other ways. Nelda was a lifelong teacher, beginning at Memorial High School before the birth of her children; tutoring innumerable students in the intricacies of algebra, geometry and pre-calculus; returning to teach math at Conroe High School and Klein Forest High School; then retiring in 2007 after more than twenty years of service at Spring High School. In addition to her classroom activities, Nelda sponsored the Spring High Student Council and senior classes for many years. She touched the lives of generations of children, always inspiring with a word of encouragement. She was honored as the Spring High teacher of the year and in 2011 was honored as Distinguished Faculty Member by the Spring High Alumni Association, in recognition of making an outstanding educational impact, being a positive role model, and exhibiting love and loyalty to Spring High School and its students.